Our little boy’s room was a bathroom when plumbing was brought into the home. Initially, it remained a bathroom when the home became a Museum, but then was used for the collection of memorabilia from Gray’s Candy Kitchen. 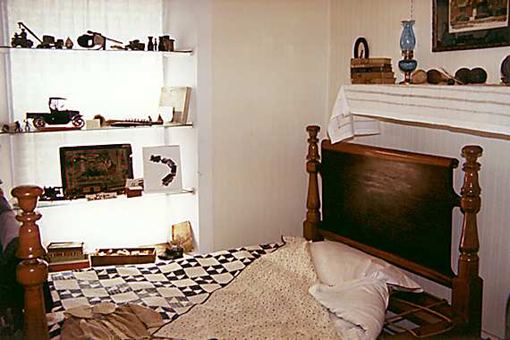 When the History Center was added, Gray’s was relocated there and this became the brother’s room. We have a rope bed and several “boy’s toys” from the early 20th century on exhibit here.